This is great, love it! Can't wait to use it with students. Great fun! My students really enjoyed! Thank you! 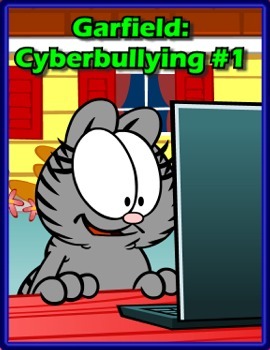 Let Garfield and his friends teach students grades 3-5 how to deal with cyberbullying. Are you looking for a way to add interest to your Music Class? 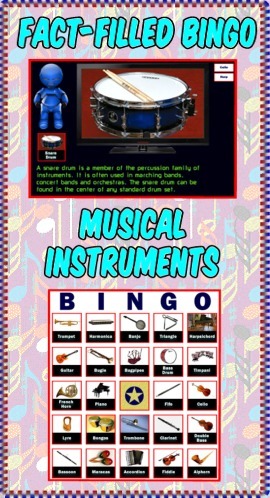 Do you need more activities for your learning stations? 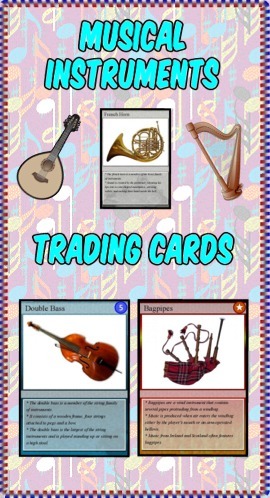 “Musical Instrument Trading Cards” is a set of 54 trading cards highlighting various instruments and instrument families. Print and laminate the cards to create a standard set of playing cards. "Educational Trading Card Games" details three original learning games. "Creating Educational Trading Cards" shows teachers and students how to make their own cards. Will be a great addition to my instrument unit! Always looking for ways to do "painless" research with my Library classes. Thanks! Great trading cards. Thanks for the information about making your own! All About Memorial Day Blog Hop! 32 END OF THE YEAR FREE LESSONS!!! Bulletin Board - "Rock Star Theme Bulletin Board"
Sharing is Caring- Fight Summer Learning Loss! Language Arts Lesson - "Summarizing Unit"